A nobleman's daughter with magic in her blood. An empire built on the dreams of enslaved Gods. Mehr is a girl trapped between two cultures. Her father comes from the ruling classes of the empire, but her mother's people were outcasts, Amrithi nomads who worshipped the spirits of the sands. 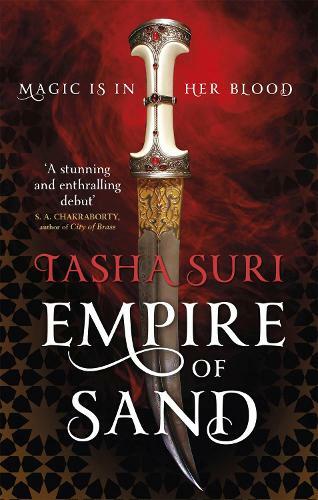 From British debut author Tasha Suri, Empire of Sand is a lush and beautiful tale set in a magical world inspired by medieval India.